I love F1, but boy does it make it difficult sometimes. Primarily, this is because those who run F1 often struggle to pass up good opportunities to make themselves and the sport look foolish. But what's going on right now is way above and beyond even what has gone before. 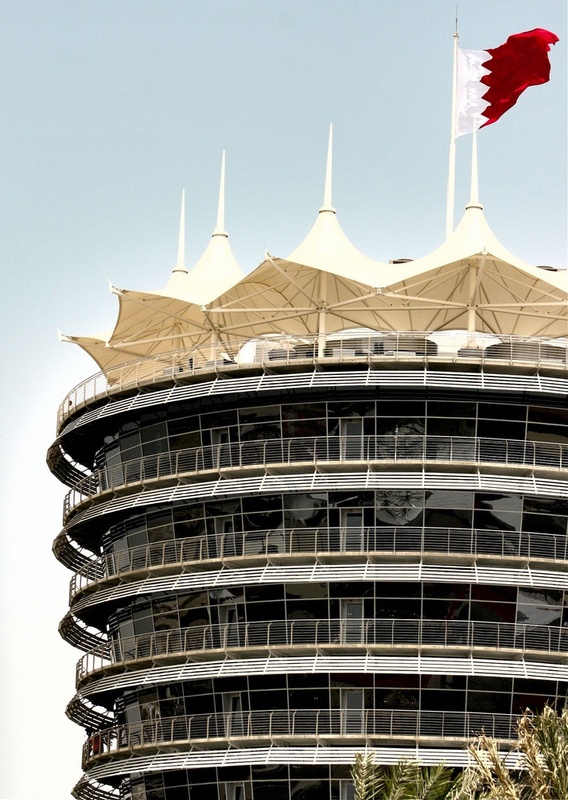 Yes, the fact that I am writing this preview will tell you that F1 is marching on unperturbed into the Bahrain Grand Prix weekend, despite all of the security and moral concerns of holding the event which were fully documented and well in advance. In so doing, there is reason to think that those who work in and around F1 are being put at serious, unnecessary risk, as well as that general escalation of Bahraini tensions and violence will be incited (given the race is so closely associated with the incumbent Bahraini regime, who further transparently seem to be using this race to legitimise themselves), which in turn puts many ordinary Bahrainis at increased risk. And as far as much of the world watching on is concerned, F1 is at best ambivalent and at worst doing the PR of a regime accused of oppression - and is so doing intoxicated by the love of money. The common wider perception is that F1 is amoral, greedy, intransigent, asinine, even a touch callous. Some are even talking of the race alongside the 1936 Berlin Olympics. Like it or not, and even if this weekend goes off without a hitch from now on, F1 will be seriously diminished in the eyes of many. And some of what was feared in advance has indeed happened. F1 has been all over the mainstream media for entirely the wrong reasons in recent days. The staging of the F1 race does indeed appear to have coincided with a ratcheting up of local tensions. Pro-democracy and anti-Government demonstrations and clashes with police are being cut interchangeably with F1 imagery in various media outlets. And the Bahrain unrest has found some of those involved in F1, most notably in the case of the Force India team, a number of whose mechanics were caught up incidentally with protesters on Wednesday night and which involved a Molotov cocktail exploding close to their hire car. Understandably, two of its team members have gone home and its cars didn't run in the second Friday practice session so to ensure personnel would be back at their hotel before nightfall. 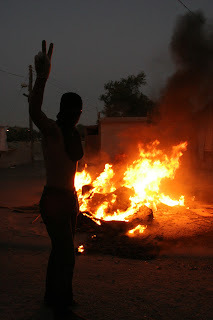 Further, some journalists are accusing the regime of stopping them reporting the anti-Government protests. Almost no one comes out of this sorry business with any credit. Bernie Ecclestone's pronouncements have in the main been obnoxious and irresponsible, the teams and most of the drivers seem cowed from expressing an opinion, and where is FIA President Jean Todt while his blue riband event is being made a fool of? I'm beginning to wonder if someone should contact Interpol missing persons. And it's impossible to see how any of them could have come to the conclusion that the benefits of holding the race, however you define them, begin to approach the considerable and obvious downsides (as argued on here last week). I will be watching this weekend (though I also fully respect those who have chosen not to), but it seems rather unworldly that I'm anticipating the race overwhelmed with a sense of conflict and trepidation, rather than my usual eagerness. And as someone with passion for F1, and who'll usually got to lengths to defend it, I feel an acute sense of embarrassment right now (as indeed do many F1 fans, if web forums, social media and the like are anything to go by). Yes, F1 has never been the place to go for moral guidance, but this, on many levels, has surpassed even its usual standards. 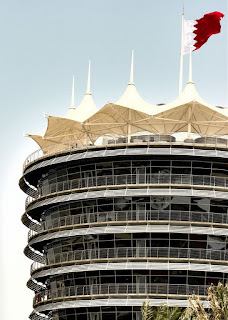 I'll just be relieved if we reach Monday morning with everyone in the F1 fraternity, and in Bahrain more widely, safe. But even if this does happen those who make the decisions in F1 surely will be in no position to crow. They will have got away with it frankly, as well as done F1's image a who-can-tell amount of damage. If they're lucky most of us will forget and move on quickly. I hope that this is the case, but I'm not optimistic. The main hope that I hold out however is that at some point, either during this weekend or soon in the future, they have a little pause for reflection, and come to the realisation that no man is an island entirely of himself. And neither is F1. As a hat-tip, I borrowed the title of this article from the title of a book exploring the history and politics of twentieth century Scotland by Christopher Harvie. It seemed appropriate somehow. If such things interest you, you can buy the book on Amazon.